Homemade frozen corn, just like corn on the cob! 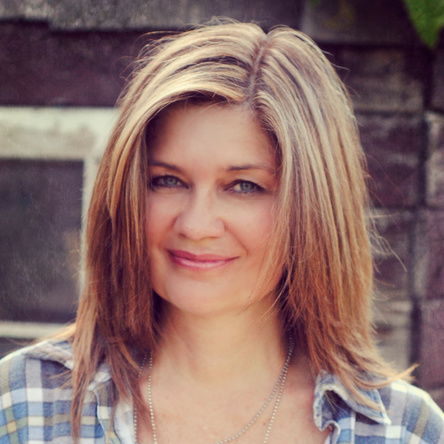 Yes, you are at the right blog! 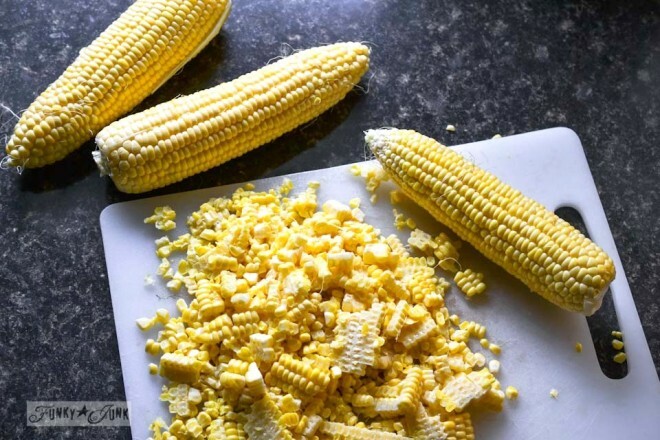 It isn’t often I have a recipe to share, however I just whipped up a batch of homemade frozen corn, just like corn on the cob, and it turned out so amazing, I had to share it with you! BC, Canada yields the sweetest, juiciest corn ever. It must be our damp conditions, because we truly have some of the best corn in the world. So it goes without saying that this recipe will only be as delicious as the corn you have available to you. I just recently made a huge batch of this and wish I had doubled the amount. It is sooooo good! … add water, sugar and salt, bake for an hour and you are done. Once cooled, scoop dinner sized amounts into freezer bags, freeze, and use as desired. 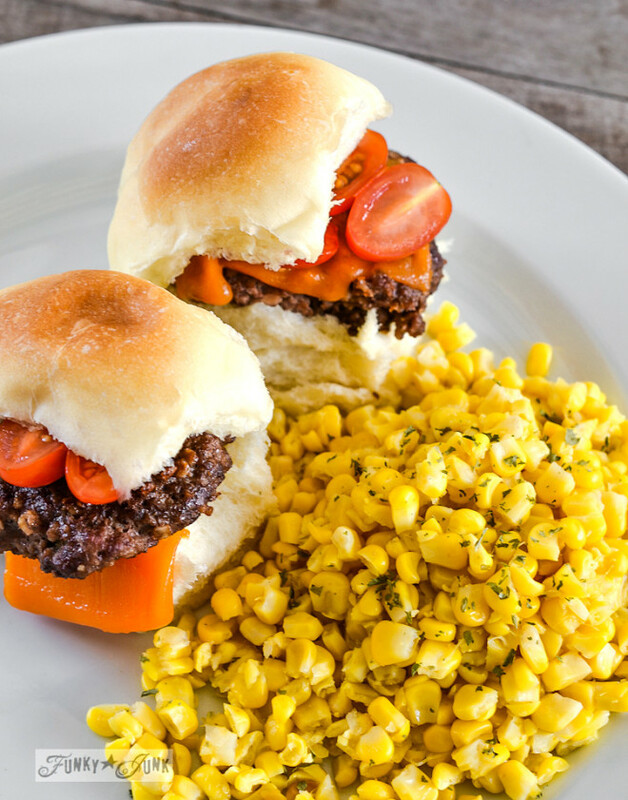 We love corn served with pretty much anything, especially the homemade oven baked burgers seen in this picture. And in case you’re wondering about the oven baked burgers, we’ll do that recipe soon too…. 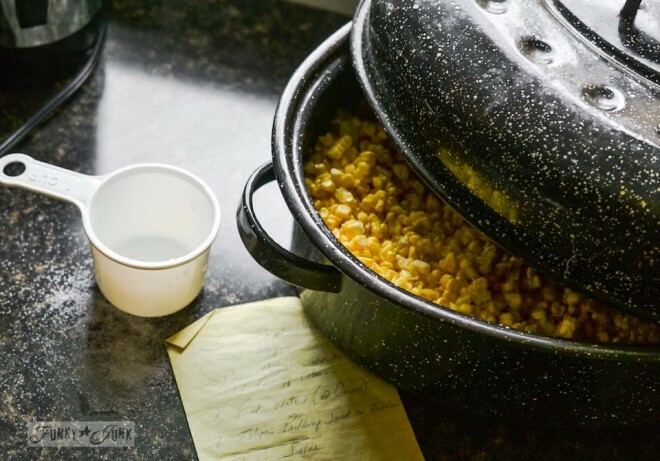 This frozen corn recipe will have you truly believing the corn came right off the cob any time of year. 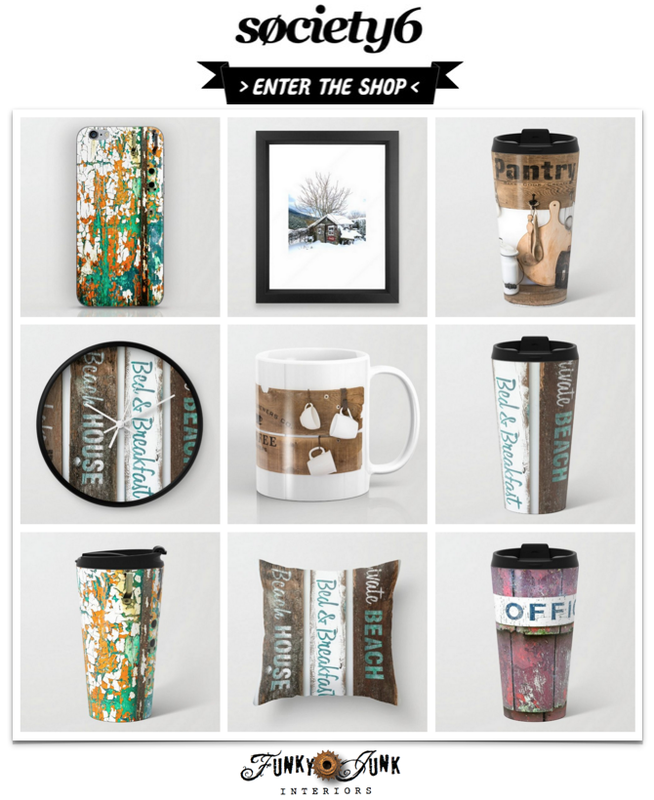 You'll never buy from a store again! Mix all of the above ingredients in a roaster. Place in oven at 375. Let corn come to a bubbly boil - takes approximately 1/2 hr. Leave in oven for another 1/2 hour at 375. Let cool, then place in bags to freeze. 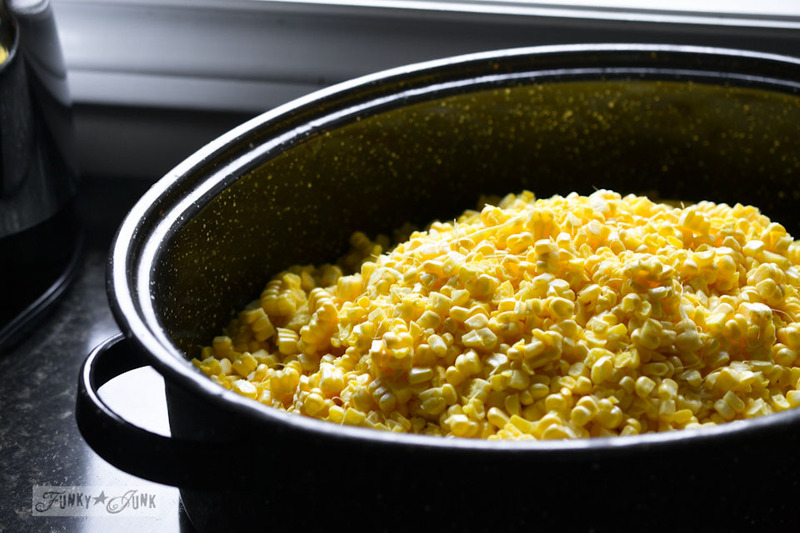 To reheat, place frozen corn in a steamer or pot with a bit of water. Heat only until warm enough, to maintain the slightly fresh, crispy texture. Season with salt and fresh ground pepper, butter and parsley or as desired. Adapted from Frozen corn Judy's way / family recipe. Hmmm, I agree – we do have THE BEST corn here in BC! Thanks for your recipe Donna, it’s a keeper! I completely love frozen corn from the cob! 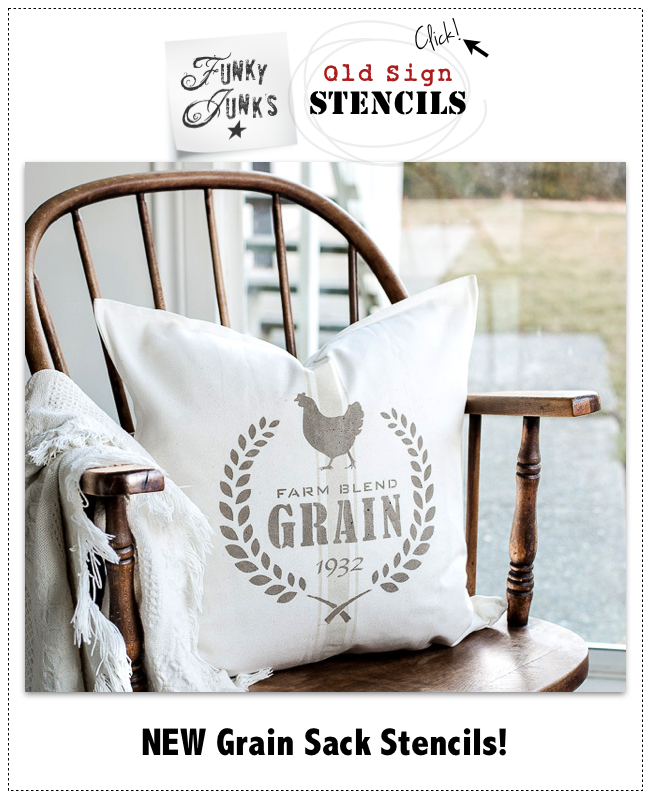 We are big into sweet corn (Minnesotans here, so *almost* as cool as Canada! Lol!) so we don’t want to wait until fall every year to eat the best corn. I’ve never actually made it myself, however, and I’m really excited to now that I’ve got a tried and true down home recipe to do it from!